But having said that, I do believe, as I pointed out in my last post, that once the “frenzy” begins against the pope, you inevitably find people who join in the fray reading the pope (or any other “target”) with an end in mind to expose the evil and to protect God’s people from the evil that is Pope Francis’s teaching. And this becomes extremely unhealthy to say the least. At any rate, to the issues at hand. Recently, I discovered some are now arguing that footnote #329 in Amoris Laetitia is yet another example of the Pope Francis’s attempt to do damage to the Church, whether wittingly or unwittingly is not the point. The point is, of course, he must be resisted regardless. The divorced who have entered a new union, for example, can find themselves in a variety of situations, which should not be pigeonholed or fit into overly rigid classifications leaving no room for a suitable personal and pastoral discernment. One thing is a second union consolidated over time, with new children, proven fidelity, generous self giving, Christian commitment, a consciousness of its irregularity and of the great difficulty of going back without feeling in conscience that one would fall into new sins. The Church acknowledges situations “where, for serious reasons, such as the children’s upbringing, a man and woman cannot satisfy the obligation to separate”.329 There are also the cases of those who made every effort to save their first marriage and were unjustly abandoned, or of “those who have entered into a second union for the sake of the children’s upbringing, and are sometimes subjectively certain in conscience that their previous and irreparably broken marriage had never been valid”. Another thing is a new union arising from a recent divorce, with all the suffering and confusion which this entails for children and entire families, or the case of someone who has consistently failed in his obligations to the family. It must remain clear that this is not the ideal which the Gospel proposes for marriage and the family. 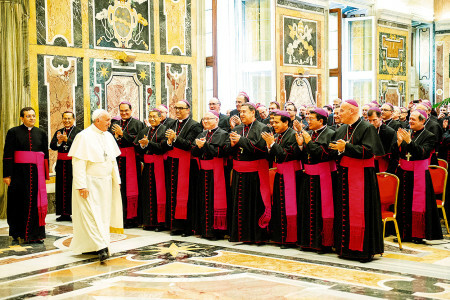 The Synod Fathers stated that the discernment of pastors must always take place “by adequately distinguishing”, with an approach which “carefully discerns situations”. We know that no “easy recipes” exist (AL 298). In such situations, many people, knowing and accepting the possibility of living “as brothers and sisters” which the Church offers them, point out that if certain expressions of intimacy are lacking, “it often happens that faithfulness is endangered and the good of the children suffers” (Second Vatican Ecumenical Council, Pastoral Constitution on the Church in the Modern World Gaudium et Spes, 51). The argument has been made that Pope Francis, reflecting either remarkable ignorance or nefarious intentions, misrepresents the magisterial teaching of Gaudium et Spes. He uses paragraph 51 as an example of how “living together as brother and sister” in marriage due to an irregular situation can lead to not only a lack of faithfulness, but also to endangering “the good of the children,” meaning, that lack of intimacy can lead to all manner of unhealthy situations to arise that could adversely affect the children. Those accusing Pope Francis of ignorance or nefarious intention claim GS 51 says nothing of “endangering children,” as in the situation endangering the rearing of children; rather, it merely and innocently refers to the fact that those living together as brother and sister due to an irregular situation are deprived of “the good of children” in the sense that they can’t have any in that irregular situation. It makes sense for those who teach the Pope is a heretic to even posit the possibility that people living in a situation involving the grave matter of being divorced and remarried outside of the Church could possibly have mitigating circumstances that could lessen their culpability, to interpret away a possibility that an Ecumenical Council of the Catholic Church could have taught a truth foundational to such a conclusion, right? GS 51 just couldn’t be saying something that would support Pope Francis, right? Why? Because we’ve already concluded he’s wrong… right? Let us, again, get some context as to what Pope Francis is actually saying in this now controversial footnote. If we back up to AL 298, Pope Francis is speaking of second “marriages” entered into in good faith, where the lack of intimacy could, in fact, lead to a lack of faithfulness or worse from the unconverted spouse. This could easily lead to turning a relatively harmonious situation into an atmosphere where the good of the spouses and/or the children might suffer. Imagine a woman in the jungles of Brazil, a strong Catholic who marries in the Church, has three small children, and then is abandoned by her husband. She has no way of supporting herself, finds herself unable to feed herself or her children, leading her to abandon her faith and to marrying outside of the Church. She then has three more children with a man who is a member of “Amigos dos Amigos,” but at least provides for her and her children. She then has a strong reversion to her Faith and is told by a priest she cannot have relations with her husband, but must live with him “as brother and sister.” So she informs her husband. The husband then informs her that she will, in fact, have relations with him or else bad things will happen to either her, her children, or both. Knowing the police are in the hip-pocket of the “Amigos…” she is scared to death. I can see how a priest could determine this woman is in a place where fear mitigates against any thought of mortal sin. She is in a desperate state and let’s say she desires greatly the sacraments of the Eucharist and Confession. Of course, the former course of St. John Paul is entirely good and acceptable even in such a situation as this. She could be taught the truth about making acts of spiritual communion as best she can, etc. 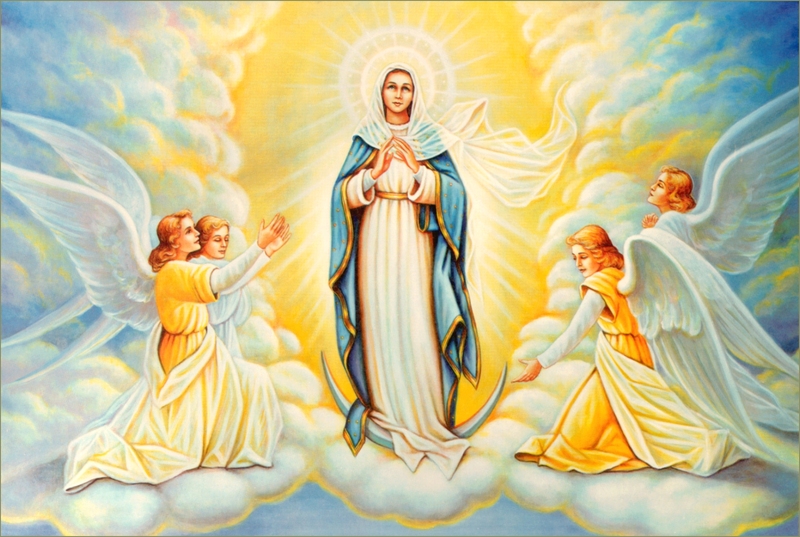 But I can also see how a woman like this could be reasonably determined to be in venial rather than mortal sin. Thus, there would be nothing in divine law precluding her from receiving communion. This is a matter of prudential judgment, not doctrine, but, as I said above, I find this to be entirely reasonable. This is an example of how abstaining within a marriage entered into in good faith, but where it is an “irregular situation” nonetheless, can lead to endangering both “faithfulness” and “the good of the children” in both the children “coming to be” and in the rearing of children who already exist. The fact is, Pope Francis is right once again. Imagine that. The pope is right? Yes, he is. Lack of intimacy in a marriage can lead to all sorts of evils, whether infidelity or endangering the rearing of children. I could think of manifold examples of how this could be so. Is the pope saying “the keeping of the law is evil”? He is not. The woman in the situation I created above could absolutely tow the line and she would not be committing a sin herself even if her decision leads to many more sins, up to and including her own death and the death of her children. 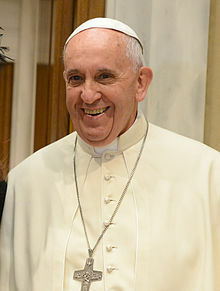 However, having said that, what the pope is saying is that in some “irregular” situations like the one I created above, a person can find himself, or herself, in a situation where circumstances could contribute to minimizing culpability even to the point where what is objectively grave matter may not result in mortal culpability. That’s all. And that is certainly within the parameters of Catholic dogmatic teaching. The truth is, not a few people find themselves living in what are complex situations. The pope is entirely within his rights as pope to explore these complex pastoral situations in new ways. That is, as long as he does not teach contrary to definitive teachings of the Church. And, as I hope I have made clear over these last four posts, the pope has not taught anything contrary to definitive teaching of the Church in his magisterial teaching, notwithstanding the distortions and rantings we see in the blogosphere and elsewhere. 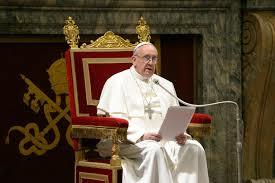 The pope is being accused of so many “heresies” that it is difficult to keep up with them all. But folks, let me assure you, every single one of these accusations is dead wrong. Before I say good-bye, at least for now, on this topic, let me give you a few more examples among many more wrongheaded attempts at proving the pope to be a heretic. The pope is accused of the error of consequentialism. That is, the pope is teaching we could permit one kind of infidelity in order to prevent another kind of infidelity. Is this true? These statements sound good and pious on the surface. And there is much truth to them, of course. The Church could take this hard-line approach. But is that the only approach possible? Not according to the teaching of the magisterium! First of all, the Catholic Church teaches (as does St. Paul is Romans 3:8) that we may never intentionally and licitly commit a moral evil in order that good may come of it. And Pope Francis is not saying we “could permit one kind of evil…” either. He is simply calling for an honest assessment of someone’s culpability in confession. This is something that is implied in Christ’s mandate to the apostles to hear and absolve the faithful of their sins (John 20:23), and has been done for centuries in the Church. The Catechism presupposes it, for example, in para. 2352. The Church presupposes it, for example, in Veritatis Splendor 63, Reconciliatio et Paenitentia, 17, and, as Pope Francis pointed out in AL, in CCC 1735, 2352 and elsewhere. Consequentialism teaches the rightness or wrongness of an action is to be determined by its outcome alone. That is not what Pope Francis is arguing for. Saying the act of adultery could ever be morally upright is not even in question here. 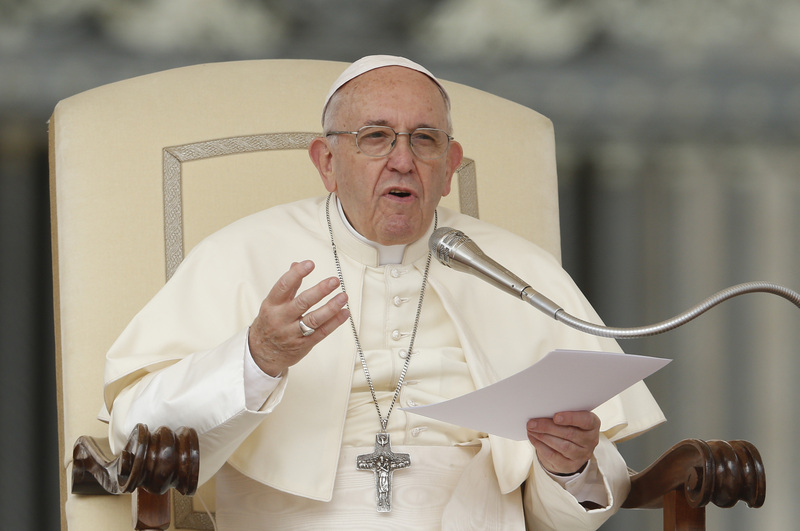 What the Pope is talking about is the possibility of a person not being mortally culpable. This is not consequentialism. Moreoever, the pope is in no way arguing for people to continue in sin. No confessor should ever encourage that. He is, once again, arguing for an honest assessment of culpability. That’s it. And that is Catholic. And the Pope is not arguing for “limiting the power of grace” in the lives of God’s people either. This is another misrepresentation of the pope’s position. In fact, Pope Francis argues just the opposite when he argues that what he calls “the ideal” must never be compromised. In fact, he argues anything less than the ideal compromises the Gospel (AL 297). Of course, all want the Brazilian woman I mentioned above to be delivered from her situation and God can certainly accomplish that. But in the meantime, the Pope is saying, we must deal with the real lives of real people where they are. Is Pope Francis attempting to make the “irregular” “regular”? I agree with critics that AL presents a pastoral nightmare for priests who are already overburdened. I agree that there is a real possibility of abuse and that we are already seeing some of that happen. But we have to remember that we have been operating under a Code of Canon Law for over 34 years that has been heavy on the role of the hierarchy in excluding members of the Church from communion, i.e., canon 915. But this was not always the case. The biblical injunction, it can be argued, tends to favor a disciplinary approach that does not see the bishops role as “Lording over” the faith of the faithful; rather, as being “helpers of [their] joy” (II Cor. 1:24). The biblical texts will say, specific to communion, “Let a man examine himself, and so eat of the bread and drink of the cup. For anyone who eats and drinks without discerning the body eats and drinks judgment upon himself. That is why many of you are weak and ill, and some have died” (I Cor. 11:28-29, emphasis added). It appears the early Church emphasized the individual’s responsibility to “examine himself,” over the Church refusing communion to people. 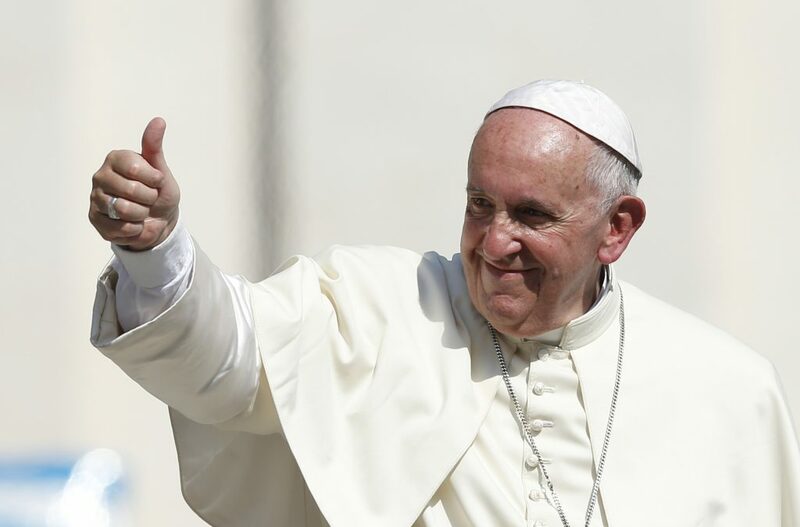 Pope Francis could simply eliminate canon 915 altogether and say we are going to leave the decision in the hands of the faithful to determine whether they are in a state of grace or not using the theological and disciplinary parameters the Church has established. I happen to be a fan of canon 915, but the truth is, this canon (along with a couple more that come to mind) may well be better off excised because it has never been enforced. And when the law is not enforced that lack of enforcement can breed contempt for the law in general. But whether someone is for getting rid of canon 915 or not, the point is, that could theoretically happen. Our age of “liturgy police” where everybody is in everybody else’s business and complaining about others receiving communion may well have been fostered by laws like canon 915. And if we are not going to have popes or bishops enforce laws like this… I’m just sayin’. But what about the pastoral nightmare for pastors? Should footnotes 351 and 329 have been better reserved to a document like the Vademecum for Confessors? Yes. Should it never have been done at all? Perhaps. As I said in my first two posts in this series, I believe Pope St. John Paul II’s is the more prudent course in this entire debate. But I also noted that I could be wrong as well. The problem I find with so many involved in these arguments is the creation of dogma where there is none. There is an assumption now in many who write on these topics that Pope Francis is teaching doctrinal novelty, or worse, doctrinal error. This is not just incorrect, but irresponsible, and even sinful. I will leave the culpability question, of course, to God and to each as he deals with these matters in confession. But c’mon folks, let’s give the pope the benefit of the doubt, and in all things exhibit “meekness and respect” (cf. I Peter 3:15).